inCheon international Airport Officially opened 2001, by filling four islands (connected by narrow roads – which I myself enjoyed driving to, for then-secluded beaches) off the West-Coast Port City of inCheon . 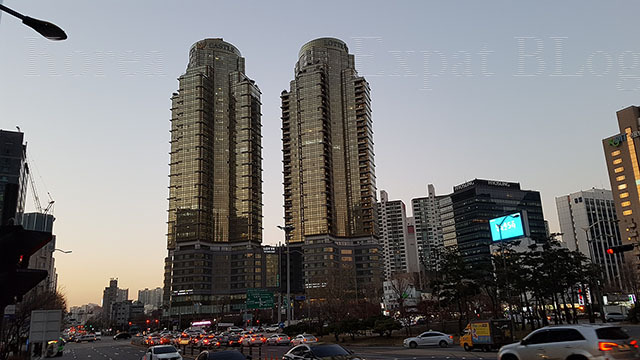 and because it is a good two-hours drive (the preceding GimPo Airport is an hour’s drive) West of its serving Capital of SEOUL, transportation is always a factor . by taxi which will cost you over W45,000 and car where parking may be a problem on cost, although they have a large under-and-above ground parking area . so many opt.to pick lodging at the two stations just prior to terminus at either HongDae (short for Hong-ik University) or GongDok (the area is largely known as Mapo). HongDae has become a party-area for young English teachers, so many sleek AirBnB lodging and cheap guest-houses abound in this area – many quite a walk from the actual station and/or bar-clustered areas .